﻿ Barkcamp State Park - Ohio. Find It Here. 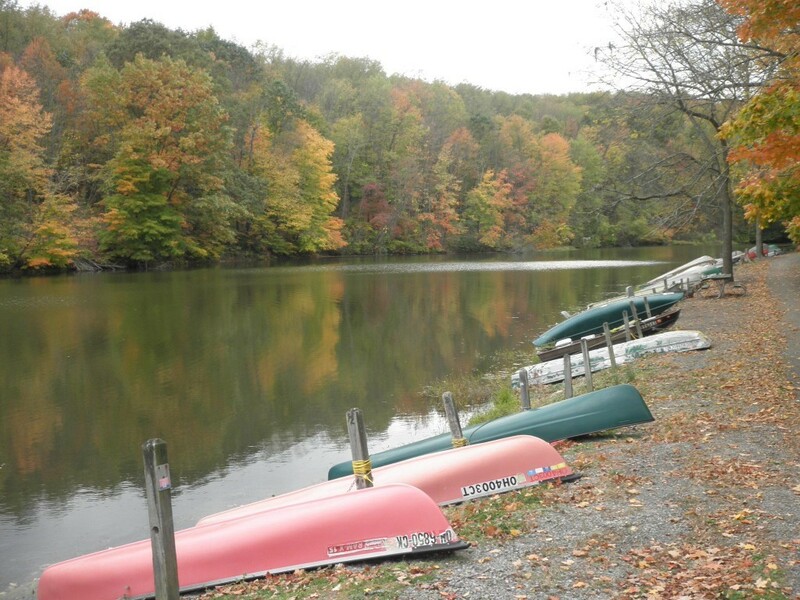 Located in eastern Ohio, Barkcamp State Parks picturesque hills and lake is the perfect place to try an array of outdoor activities. The 1,005-acre park offers visitors the chance to camp surrounded by mature woodlands and rolling hills or spend the day exploring the rugged Appalachian region. The sandstone hills of the area are part of the Appalachian Plateau, which envelops the southeastern part of Ohio. Layers of coal lie hidden within the sandstone bedrock, formed by decaying swamp vegetation millions of years ago during the Pennsylvanian geologic period. Belmont County leads Ohio in coal production; an estimated 5,668 million tons of coal lie below the earths surface.The hills and valleys of the area are blanketed with an impressive second-growth forest, one of the few areas showcasing what Ohios original forests may have looked like. The woods support various plants, such as wild geranium, hepatica, bloodroot and other spring blooms. Animals thrive here, including a variety of songbirds, squirrel, white-tailed deer and wild turkey.